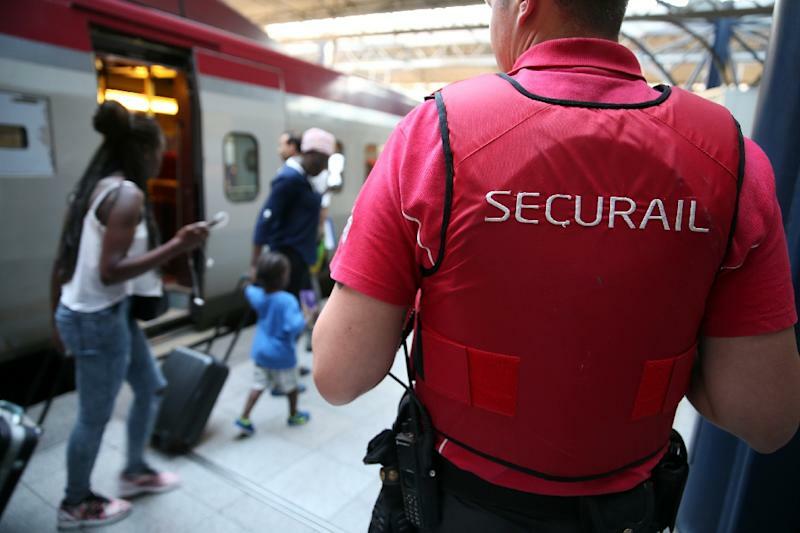 Paris (AFP) - European ministers will gather in Paris for security talks at the weekend following last week's "targeted and premeditated" jihadist attack on a high-speed train that was foiled by passengers, it was announced Wednesday. Prosecutors have charged 25-year-old Moroccan Ayoub El Khazzani over the attack, which saw him watch a jihadist video on his phone before entering a toilet in the train, remove his shirt, and step out armed with an assault rifle, 270 rounds of ammunition and a Luger pistol strapped to his chest. But Khazzani was stopped in his tracks by several French passengers, two young American off-duty servicemen, their student friend and a 62-year-old British consultant who have since been awarded France's top honour, the Legion d'Honneur. 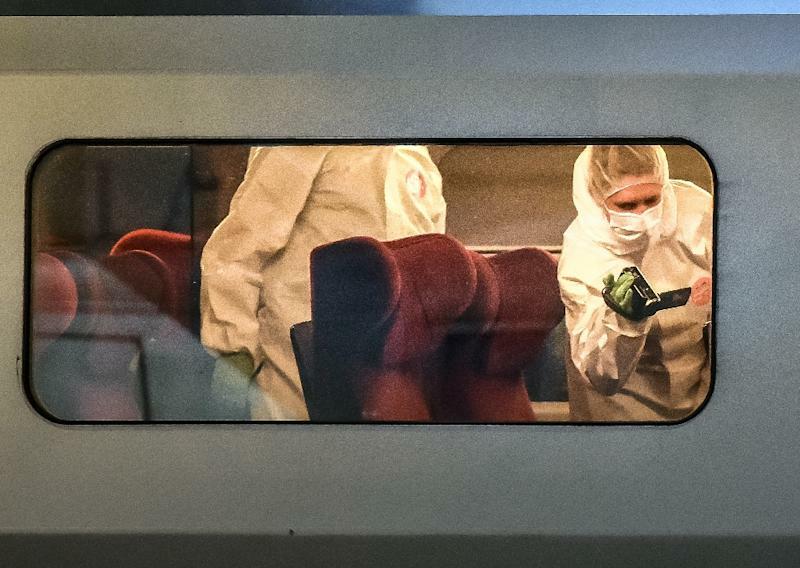 One of the French passengers was shot and seriously injured in the struggle to overpower the gunman, and he is recovering in hospital. The thwarted shooting has raised fears of another attack in France that was already on high alert after three jihadist gunmen went on a killing spree in and near Paris in January, leaving 17 people dead. Authorities have foiled several attacks since then. French Interior Minister Bernard Cazeneuve announced that home and transport ministers from several European countries will gather in Paris on Saturday to discuss security measures following the latest foiled assault. The meeting "will... look at very concrete proposals," he said Wednesday. "We must examine whether we can implement a system that allows for more systematic checks in airports, in public transport, in a more coordinated way." Khazzani had been on the radar of several European intelligence agencies after authorities in Spain, where he lived until 2014, flagged him as a radical Islamist. But the 26 countries in Europe's Schengen Area have abolished border controls, which means people living in or visiting those nations can travel virtually undetected if they are not the subject of random checks. Khazzani claims that he was homeless and had by chance stumbled upon the weapons stash in a Brussels park, prompting him to use them to rob first class passengers in the Amsterdam-Paris train. But Paris Prosecutor Francois Molins said the claim was "barely credible", outlining a raft of evidence indicating why Khazzani was being probed for "attempted murder" as part of a "targeted and premeditated" terrorist plot. 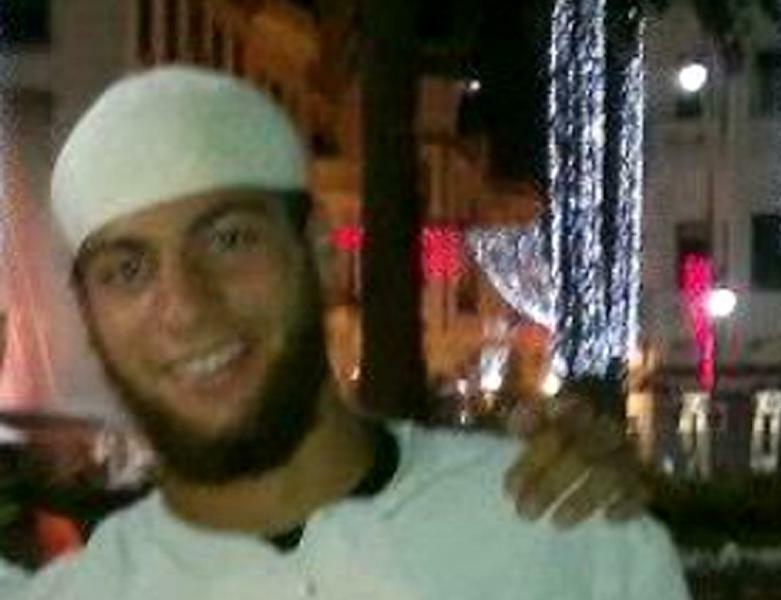 He bought his first-class ticket on the day of the attack at the Midi train station in Brussels, paying 149 euros ($170) in cash -- discrediting Khazzani's claim that he was strapped for cash. The ticket seller asked if he wanted to travel earlier, on a less crowded train, but he refused. Khazzani also travelled to Turkey and back in May and June this year, seen as a possible sign that he went to war-torn Syria where the Islamic State group controls swathes of territory. And his Facebook page was mysteriously disabled on Saturday -- the day after the foiled attack. Khazzani lived in Spain for seven years until 2014, where he came to the attention of authorities for defending jihad, attending a radical mosque in the southern port of Algeciras and being involved in drug trafficking. Molins said he had also spent time in France in 2014 working for mobile phone operator Lycamobile. In May this year, he came to the intelligence services' attention once more when German authorities warned he had boarded a plane for Turkey, a common entrance point to Syria for would-be jihadists. But so far, there is scant information about whether Khazzani acted alone or had accomplices, or whether he was part of a wider terrorist group. French President Francois Hollande said what was certain was that "a real carnage" was averted thanks to the courage of a few passengers. He awarded Alek Skarlatos, a 22-year-old National Guardsman, Spencer Stone, a 23-year-old US Air Force member, and Anthony Sadler, also 23, a student in Sacramento, with the Legion d'Honneur on Monday. Chris Norman, a Briton, was also given a medal, and four other people who helped out are also to be honoured. Sacramento has announced it will hold a parade for the three Americans, and Skarlatos will receive the US Army's highest non-combat honour, the Soldier's Medal for "extraordinary heroism above and beyond the call of duty." Stone, who was injured in the struggle but still tended to the man who had been shot, has been nominated for the Airman's Medal, the US Air Force's top non-combat award for bravery.